Jon Favreau, who directed the 2016 live-action/CGI “The Jungle Book” movie, with voice actors that included Idris Elba and Lupita Nyong’o, has now taken on another animation project, “The Lion King,” a Disney story about Simba, a young lion who is to succeed his father, Mufasa, as King of the African Pride Lands. For this movie, production is eying superstar Beyoncé to be the voice of Nala. Nala was introduced in the original movie as the childhood best friend of Simba, and ultimately became his wife. Several years after Simba's uncle Scar has killed Simba's father Mufasa and usurped the throne, Nala desperately ventured into the jungle to find help. Upon unexpectedly reuniting with a grown Simba, who she had long been tricked by Scar into presuming dead, Nala encouraged Simba to return to Pride Rock, overthrow his uncle and ultimately become king with his queen Nala by his side. Although Nala is the most significant female character in The Lion King, she has not had a prominent role throughout the sequels. If Beyoncé is to become the voice of Nala, hopefully a new life will be inserted in this queen of the Jungle that could probably reflect somehow the boldness of the queen Bey herself. This is not the first time, Beyoncé spent time in the jungle, just look at the visuals of her Grown Woman live performances. 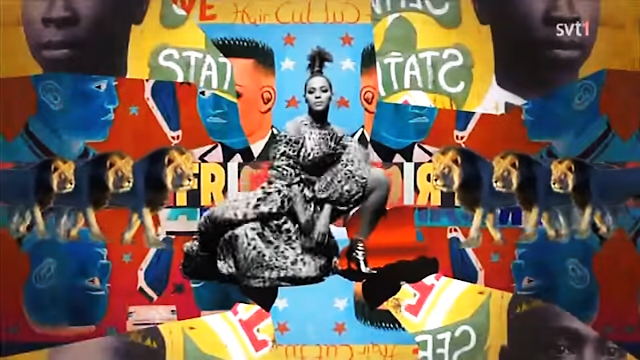 It is also not the first time Beyoncé is involved in an Africa inspired features as most of her recent releases include elements of African art, from music, to fashion to spoken words. We are therefore excited for all the possibilities that could be open to the animated movie. Indeed, Beyoncé could get involved in revamping the theme song "Hakuna Matata". The story behind "Hakuna Matata"
Lana could even get a part where she sings a remix/medley of Hakuna Matata, and Grown Woman and any other Afro-inspired Beyoncé song. Nala could also expect twins just like Beyoncé. There are so many ways this movie can go and excite fans even more if only Beyoncé gets involved. Plus, since Mrs. Carter is the queen of surprises, she might even drop that Fela-inspired album, said to be locked in the vault.